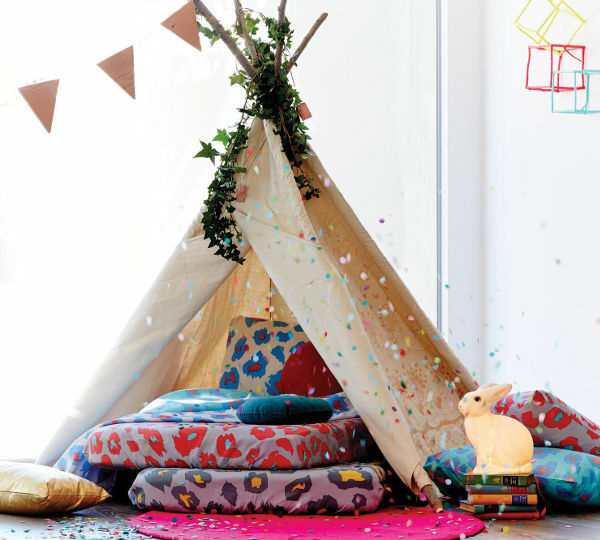 The monochrome trend has certainly made an impact in children’s bedrooms – but if colour is more your child’s taste, take a gander at this stunning linen. 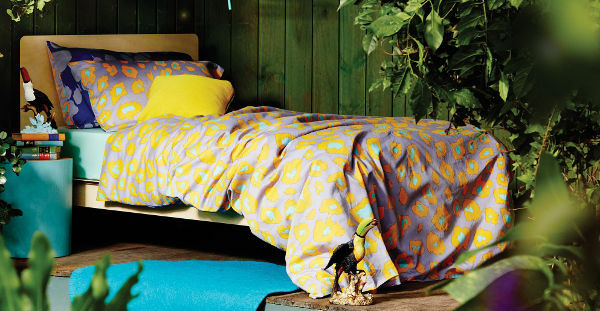 Bold, bright and colourful, Goosebumps will bring any child’s room to life – and give them something beautiful to crawl into at night. There’s clearly a growing movement towards black and white children’s bedrooms – and while I love the simplicity and style of monochrome, a splash of colour can bring a room to life. 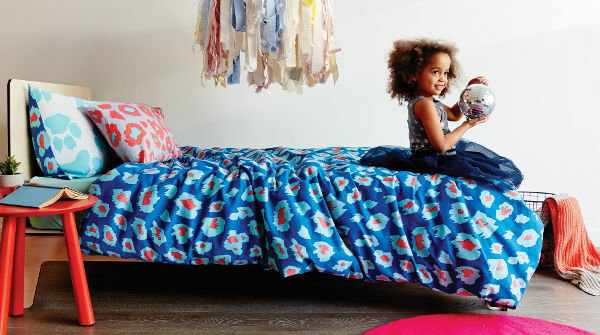 Goosebumps creates children’s linen that isn’t afraid to be striking. Goosebumps has latched onto another current trend – animal print and jungle animals. 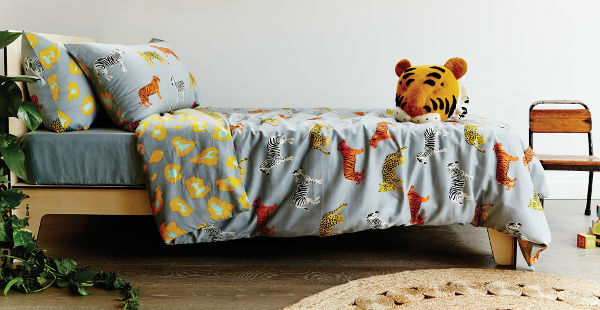 The quilt covers include tigers and leopard with paw print as the reverse design. 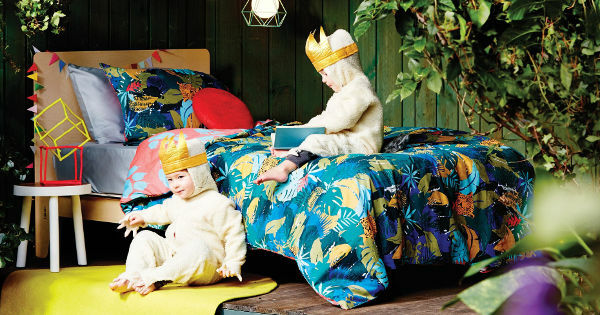 The single bed quilt covers are $159, while the double bed covers – which will also suit a king single bed, are $189. The range also includes sheet sets in block colours to complement the quilt covers, and cot sheets for $49. You can shop the collection at Goosebumps, and delivery for orders over $250 is free within Australia.